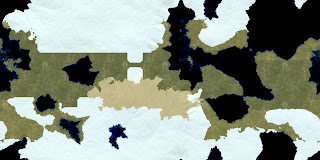 This is the first part in a two-part video tutorial about creating a fantasy world. Although the first part does not deal with Blender, the second part will, so that is why this video has been given a Blender title. In this first part, we will actually be making a terrain in a program called L3DT, a free terrain generation program. Then, in the second part of the tutorial, we will be applying the map that we made in L3DT to our world that we will be creating in Blender. Hi everyone! It's been a while since my last post, and I know that my posts have been a little less frequent lately. Anyway, I felt that this tutorial would be useful, albeit simple. Nonetheless, I wanted to share with you how I have learned to do green screen animations in Blender, so who's ready for today's exciting episode? This is my first Maya tutorial. 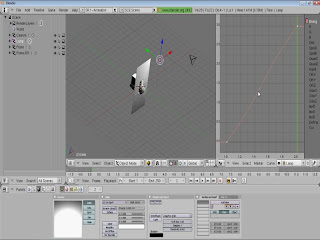 It's a beginner level tutorial intended for Maya 2009 users. I'm going to start putting Maya tutorials into the blog. This tutorial talks about the process of adding an existing texture to an object in a Maya scene. 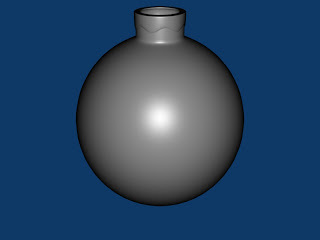 Honestly, this is a tutorial that I wished that I had before I attempted to add a material to a UV set. Today's tutorial will be focused in on Gimp. I found this effect to be quite useful, and I thought I'd pass this information on to the rest of you. One of my passions is to share what I've learned about artistic design methods with everyone else. To demonstrate what I've learned, I've provided this tutorial for you to check out. This tutorial focuses on driven ipo curves, or using an object in your scene to control another object's behavior. 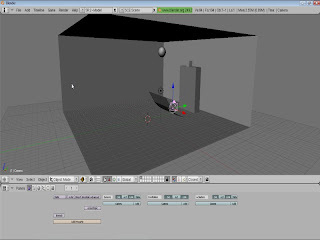 The application of this method of animation can be used in many instances, such as wheels turning on a vehicle, or an automatic door being opened in a grocery store. This tutorial will cover basic ways on how to resolve these types of issues. Let me know what you think of this tutorial and what you would like to see in the future. I always appreciate feedback. 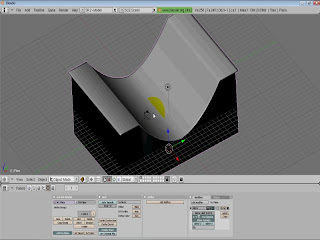 This tutorial will be covering how to model a skateboard half-pipe in Blender. The method I use to model this ramp involves proportional edit falloff with sharp falloff. This video is a follow-up of an inquiry that someone had posted. As always, I appreciate feedback and suggestions on future tutorials. In today's tutorial, I will be talking about how to apply game engine physics into an animation in Blender using the built-in game engine. This tutorial will demonstrate how to add game physics properties to scene objects and how to configure Blender to record the object movements from within the game engine. 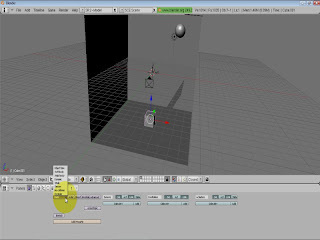 This tutorial pertains to Blender 2.49. This tutorial is an intermediate level tutorial. Today's tutorial focuses on working with Gimp, an open-source image-editing program that is similar to Photoshop. Today's tutorial will be covering how to use the cloth simulation that is built into Blender 2.49. 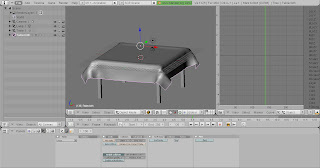 We will be modeling a simple table and then adding a "cloth" object to set on top of it.